A division Bench of the Gujarat High Court comprising acting Chief Justice V.M. Sahai and Justice Mohinder Pal has referred the case of allotment of 2008 allotment of residential plots to sitting and retired judges to a larger Bench. The Court framed 10 questions related to the suo motu PIL that it had initiated. The respondent Judges and authorities had asked for time for looking into the matter and respond over the maintainability of the Public Interest Litigation. The Court however refused to accept the request, in the interest of justice. The Bench asked whether the land was given out at such premium prices with any falsity and whether any advertisement was given for the same. 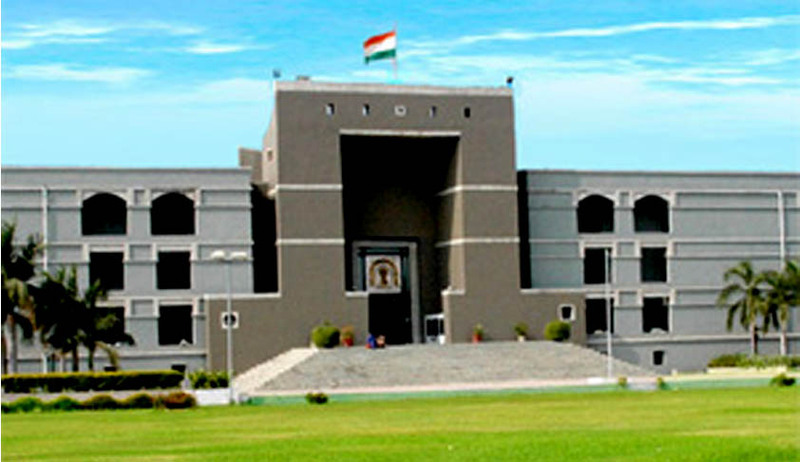 It further asked whether after allotment of plots to sitting Judges, if still some plots remained vacant, whether it could be allotted to the former Judges of Gujarat High Court or not and whether the vacant plots could be allotted to Judges who were lawyers or subordinate Court Judges at the time of allotment of plots? The question of allotment of land after formation of society was also raised, since there is no sale deed on record to show that the society purchased the land from the Government or the collector. It also asked whether the fact that the Judge has his own house within 8 kms periphery amounts to undue enrichment. The Bench inquired about any loss caused to the State exchequer due to the allotments. The question as to the policy of the Government to allot individual plot at a prime location was also asked by the Bench. It asked whether any advertisement was issued for the same. “Whether Ahmedabad Urban Development Authority or Ahmedabad Municipal Corporation had made internal development of the total area of the land allotted to Neetibagh Judges' Cooperative Housing Society Limited free of cost and under whose orders and why? Whether free of cost development is permissible in law?” the Bench further asked. The bench also inquired whether any Judge or Judges have applied to the Collector, Ahmedabad or the State Government for allotment of plots individually? Advocate General Kamal Trivedi and several lawyers representing the respondents raised objections to the enlisting of questions, pleading that when the division bench has already decided to refer the matter to the larger bench, then there is no need to enlist these questions. The respondents had contended that the questions should be framed only after giving them an opportunity to file their response. The Court however did not accept this contended and stated that as per the High Court rules, the matter is to be referred to larger Bench only after framing the questions. The Advocates further pleaded that the larger bench should decide the grounds on which further proceedings would take place, not on the grounds already provided by the existing bench. They contended that the larger bench would get swayed and form a perception. Justice Sahai however, rejected any such contention, saying that the larger bench will hold the power to add or subtract questions from this list and conduct hearing based on those grounds. Yesterday, a Bench headed by Chief Justice V.M. Sahai had sought replies from 27 Judges (both sitting and retired) of the Court, the state Revenue Department; and the Ahmedabad Municipal Corporation.